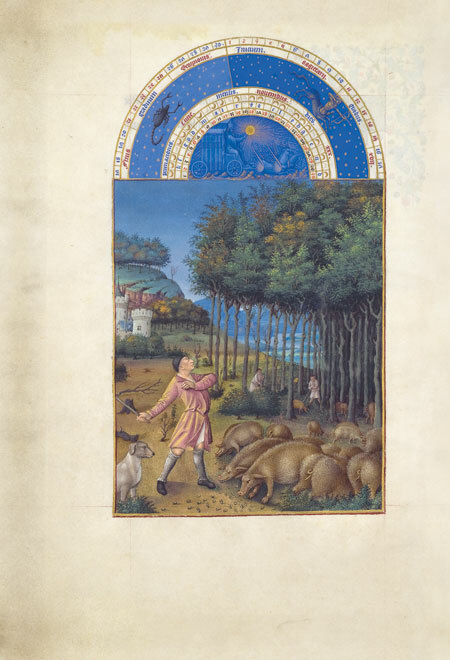 Les Très Riches Heures du Duc de Berry is a true masterpiece of Flemish illumination. This is undoubtedly the most famous of all works of book illustration. 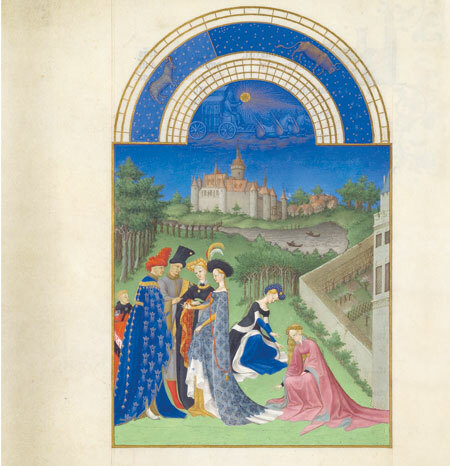 This splendid codex, which came into being in the early fifteenth century, is the work of the three leading illuminators of the times, the Limbourg brothers. 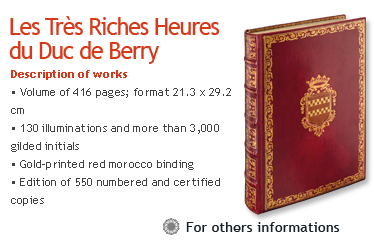 The codex became the key work of Jean de Berry’s large library of more than 300 splendid volumes. 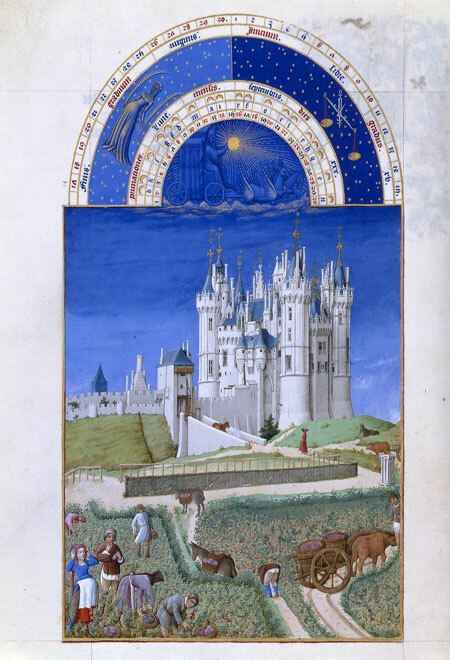 Les Très Riches Heures du Duc de Berry represents the high point of the art of illumination during the period of the decline of the Gothic mode and of the dawning of Renaissance art. 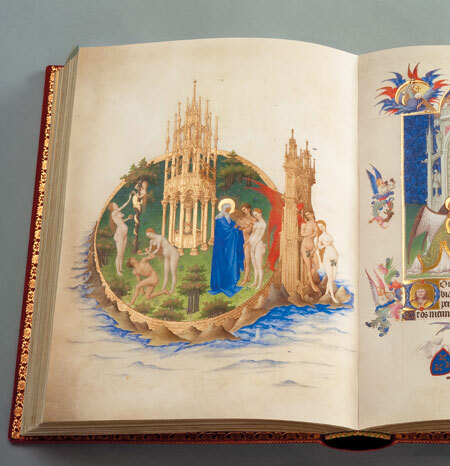 It also represents the culmination of the artistic careers of Herman, Paul and Jean de Limbourg. The three brothers (from Nijmegen) worked on the codex between 1411 and 1416 (the year in which they died in mysterious circumstances, perhaps due to an epidemic). 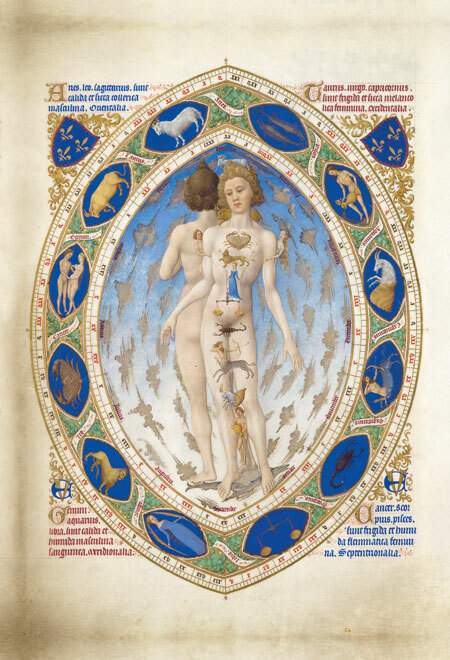 The codex therefore remained unfinished until about 1485, when, Charles I (Duke of Savoy) commissioned another excellent illuminator, Jean Colombe, to complete the work. 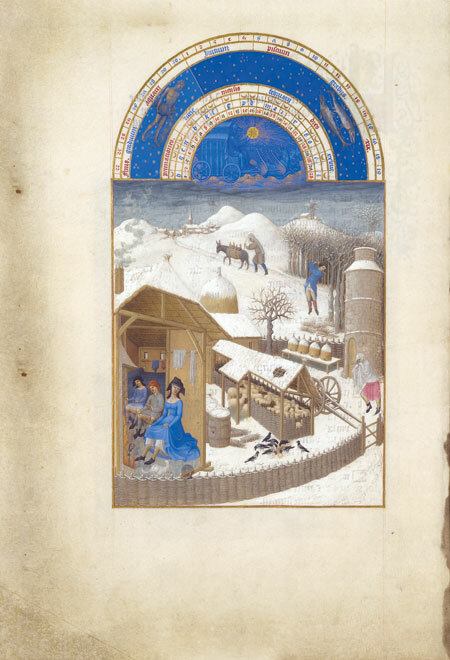 Our response to the Limbourg brothers’ illuminations is immediate and intense. We are drawn into this world of enchantment and we marvel at the scenes we find there. 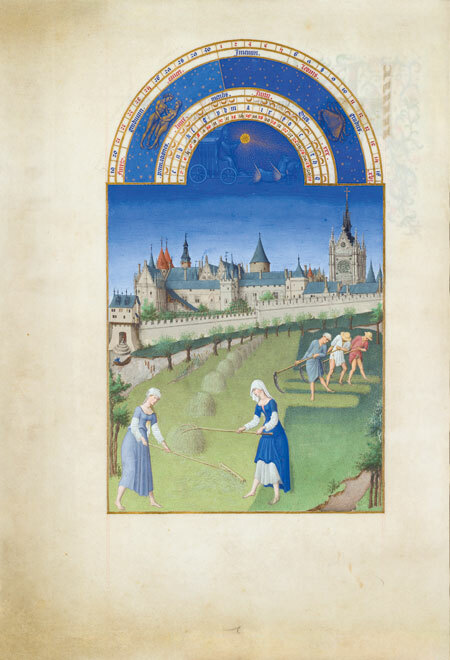 Thanks to the Limbourg brothers’ sense of colour and their powers of observation, in stunningly beautiful rural settings, with imposing castles and walled cities, we catch a glimpse of the fleeting pleasures of the life of a French court, and of the burdens of the rural labourer. We see the contrast between the sumptuous garments of the aristocrats and the simple clothing of the peasantry. 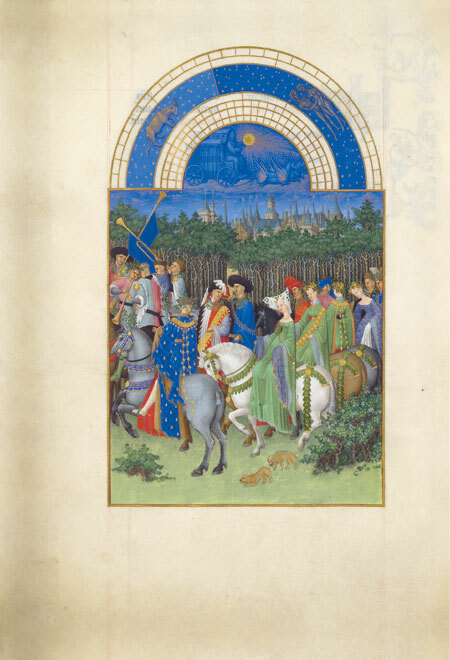 Les Très Riches Heures du Duc de Berry is the most lavishly adorned of the works commissioned by the great Jean de Berry (1340-1416), known as the Magnificent. The son, brother and uncle of three Kings of France (John II ‘the Good’, Charles V and Charles VI), Jean de Berry, a man of great culture, was a renowned bibliophile and expert collector of the works of Antiquity, tapestry, coins, jewels, reliquaries, cameos and the portraits of sovereign princes. 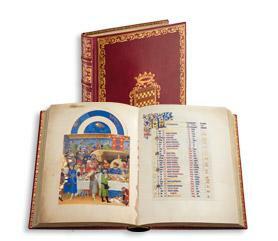 He was considered the wealthiest of the patrons of the arts of the late Middle Ages. 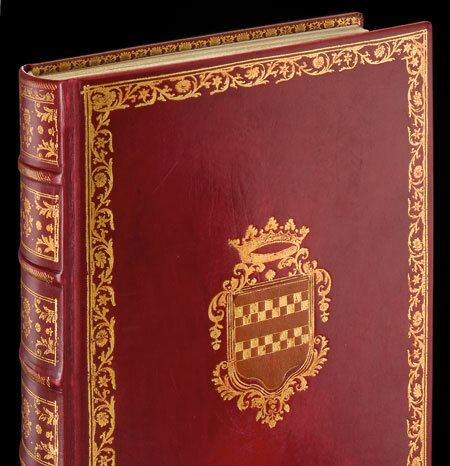 We know of his collecting activities thanks to the detailed inventory drawn up by the librarian, Robinet d’Etampes. The work is accompanied by a book with commentary, edited by Patricia Stirnemann and Inès Villela-Petit, with writings by Milvia Bollati, Jean-Laurent Hablot, Marie Jacob, Jean-Baptiste Lebigue, Jean Mesqui, Margaret Scott, Patricia Stirnemann, Emmanuelle Toulet and Arie Wallert.